You can’t fight in the War Room! 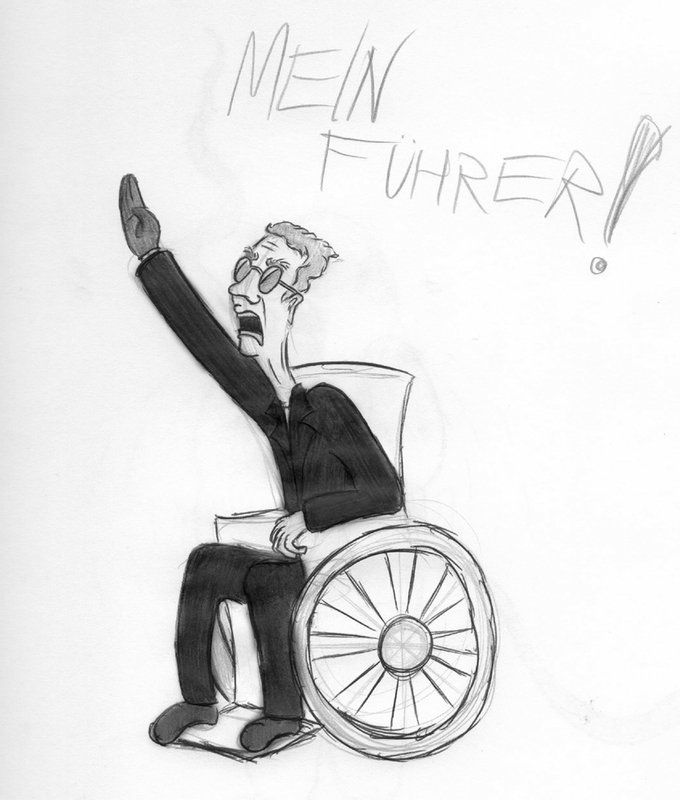 A not-too-strictly-accurate picture of Dr. Strangelove, because I had no reference. I like it, though.